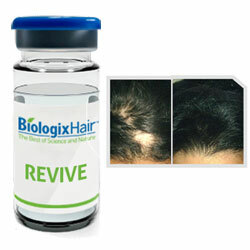 We recently came across a company called Biologix Hair Inc. while searching for hair regrowth remedies for women. It appears that Biologix Hair reviews are usually incomplete because there’s not a whole lot of information out there about this company yet. But if its product line is as effective as the company claims, it can be a very promising product to stop thinning hair in women. Biologix Hair: How does it work? Biologix Hair claims that their solution works because it addresses the root cause of most instances hair loss. Follicle Nutrient Deficiency Syndrome (FNDS) is the real cause, and it has been identified as the leading source of hair loss, according to the Biologix research team & company executives. Now, by targeting follicles affected by FNDS, hair loss can be treated successfully and hair follicles can be reawakened so that they can go back to making a full head of healthy hair. What is Follicle Nutrient Deficiency (FNDS), anyway? In short, the progression of this disease is such that there is some micro-inflammation and resulting malnourishment of a follicle, but what causes that is still unknown. The effect, however, is what triggers FNDS. The body gets a signal to surround the weakened follicle with a cocoon of sorts. When the hair follicle is in this dormant state, the damaged follicle just cannot get the nutrition it needs, so it stops making hair. Who is Biologix Hair? What is this company all about? First of all, if you ever want to speak with a Corporate Communications representative yourself, to get more firsthand information, call +1 855.292.8585. Biologix Hair represents themsleves as the best of science & nature, and it offers a proven and safe solution for the real cause of hair loss. Why do women lose their hair? Is it inevitable to stop its progression once it starts? There are many factors that cause hair loss in women including stress, medical conditions, hereditary hair loss and other. Interestingly, the company indicates that their product doesn’t have to address the deep root cause though. It just has to address the Follicle Nutrient Deficiency Syndrome, for which no cause is known, and that causes the eventual hair loss. The treatment should be given monthly for between four and six months. After the final monthly injection, a couple of bi-monthly visits are usually needed to reinforce the hair growth. After that, a an annual visit would be recommended for upkeep; twice a year would be best. When will hair re-growth start? The company wants to prove to the FDA that most people start seeing hair growth within two months. What do people say about Biologix hair? Does it work? There are before & after photos on the website which show the power of Biologix Hair therapy system, but there aren’t a whole lot of user reviews & testimonials available because it hasn’t been on the market for very long. Plus, their solution has not been approved by FDA in United States. Most of its success stories have come out of South America, where the treatment originated. Therefore, most of the accounts of success are just anecdotal. There haven’t been any double-blind, clinical studies on the treatment yet. The treatment originated in South America, and the doctors down there did not have to go through the FDA to administer the treatment. Since the treatment is going to be open to an international market, the company is currently pursuing all the necessary credentials in order to sell it as a treatment for hair loss. The Biologix hair therapy system is safe, according to the company who procured the treatment, and they say that it has been used in a clinical setting for more than seven years. As you can see, the company is excited about getting the necessary approval to market it as a hair loss regeneration product internationally, because of its proven success in a clinical setting, but right now the only real proof is in the stories coming out of different treatment centers in South America, where the treatment started. I’d love to share my story! When will you be in the US?